Browsing Category: Classes Displaying 1-4 of 4 Found. Enjoy a night with Amy at the store to teach you how to create the beautiful floral designs that are currently on fire on social media in face painting. Going through colour choices, placement, design flow and specific designs you will learn step by step with Amy to create beautifully coloured and flowing designs that will wow your clients and take your painting to the next level. You will need to bring your face painting kit and a practice mat to complete this class. Join Amy for a evening of learning how to paint beautiful butterflies and fabulous fairies! 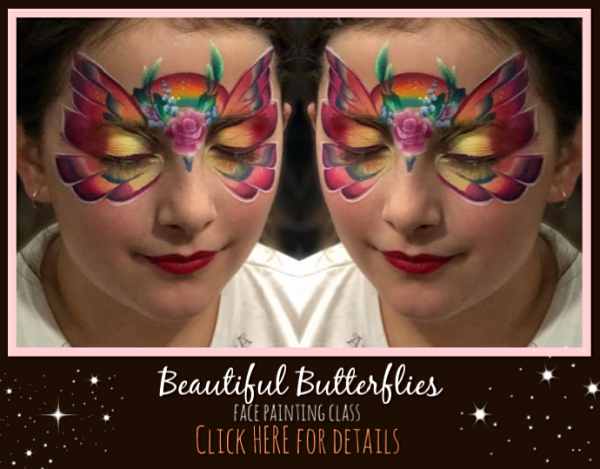 Amy will take you through all the tips, brushstrokes and techniques to create beautiful butterflies which are the staple of a face painters designs. Learn how to include colour, one stroke, stencils and glitters to add dimension and contrast to your designs that are sure to wow the crowd. We will also talk about colour theory and how to make your designs pop as well as lots of practice to create your own beautiful paintings. 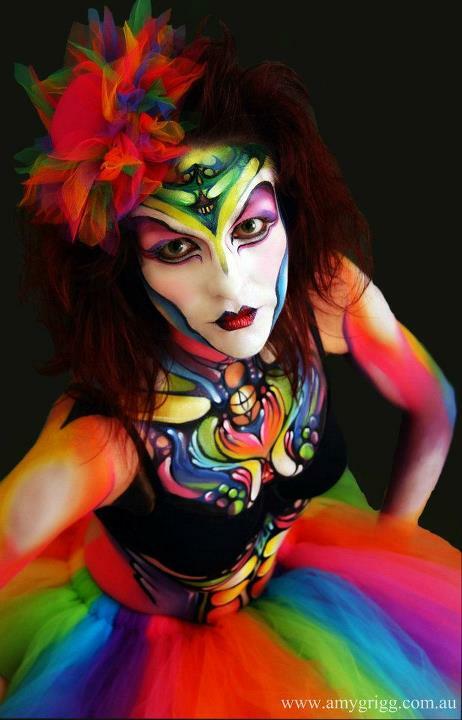 $500.00 A private face or body painting workshop with Amy Grigg. Private workshops are for people who would like to spend some one on one time with me really honing their skills and developing themselves whether you are interested in just face painting, body painting or pregnancy art- it up to you. This is suitable for all levels of painters that would prefer one on one time whether you are brand new or if you are a experienced painter who would like to learn specialised techniques and designs. This is great for painters that are interested in skills/ designs beyond the scope of our current classes or just if you would prefer the attention and benefit of having a class custom fit to your level of expertise. They will be held in the classroom of our Store here in Penrith and run for approx 4 hours. Please feel free to email amy at amy_grigg@yahoo.com.au if you have any questions or for available dates.